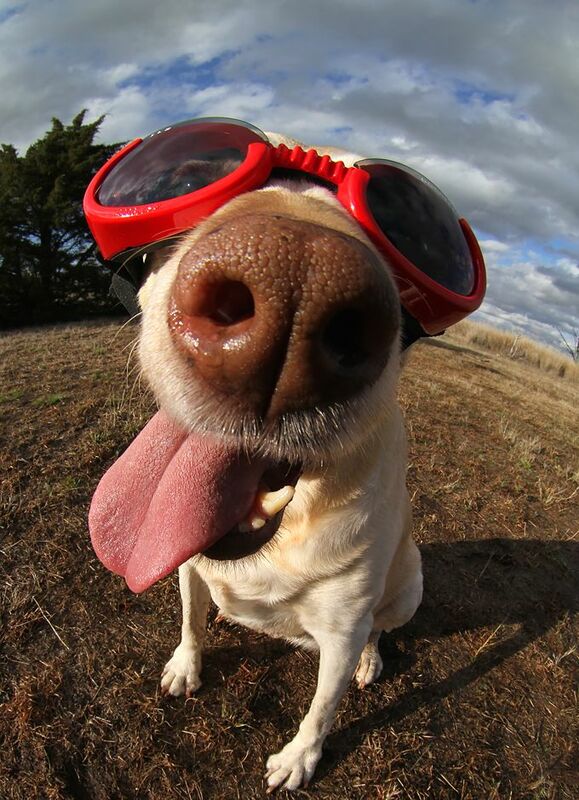 Summertime = Dogtime – Keep Your Pets Safe This Summer! 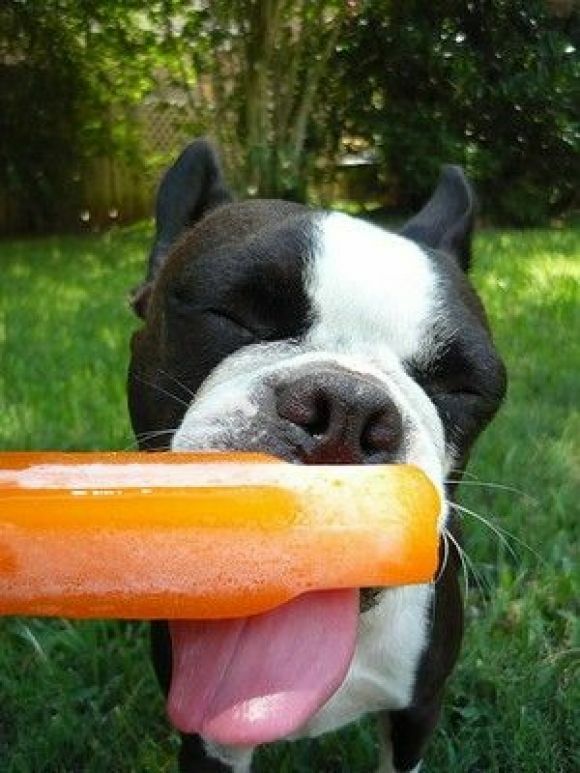 Keep your pets safe and cool this summer. Things are heating up, and remember that a parked car can reach 102 degrees within 10 minutes. After 30 minutes, you’re looking at closer to 120 degrees. Don’t leave your pets inside cars even for just a few minutes, your pet will suffer irreversible organ damage and/or die. When it comes to exercise, you may want to limit the amount on hot days as well as adjust intensity and duration. Early morning or evening hours are the best times to get out there. Asphalt gets hot and can burn your pet’s paws. Walking on grass is best, if possible, and always remember to carry water with you. If you’re planning a picnic or play date outdoors with your pet, make sure there are shaded areas with unobstructed air flow – trees and tarps are ideal for this and please make sure your pet is protected from the sun. Pools are F-U-N but keep pet safety front and centre! Not all dogs are good swimmers. Some breeds can even drown if left unsupervised around a pool. 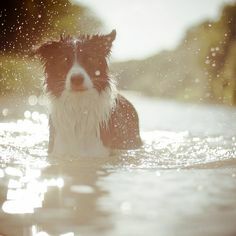 Teach your dog to swim. Invest in a dog life vest. 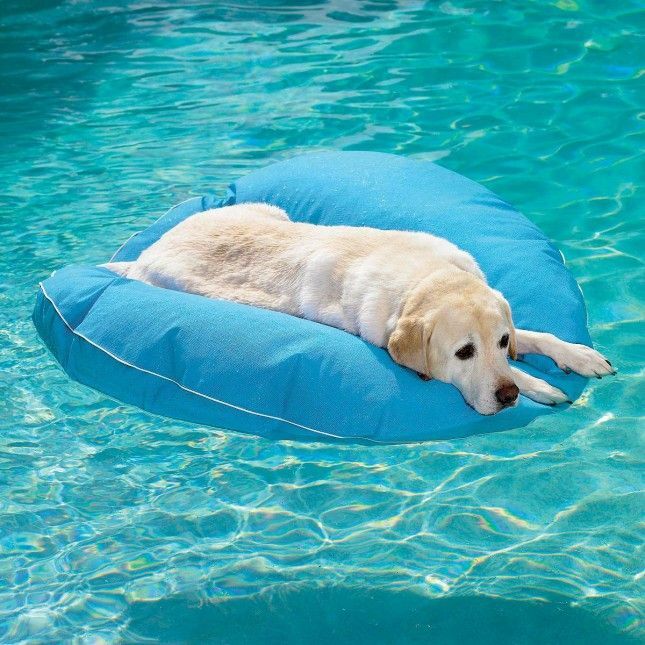 Take care with older and senior dogs – they are more likely to suffer from arthritis, vision loss, seizures and a host of other health issues that may require special attention around the pool or prohibit them from swimming altogether. Learn dog CPR. Please click HERE for how to give your dog CPR. Be safe and ENJOY your summer! This entry was posted in Uncategorized and tagged dog breeds, dogs and cottages, dogs having fun, ruckus dog, sharyn cathcart, summer safety for pets, summertime fun, tips on dog safety, water safety and dogs on July 7, 2015 by Ruckus Dog. Eat. Play. Bark. 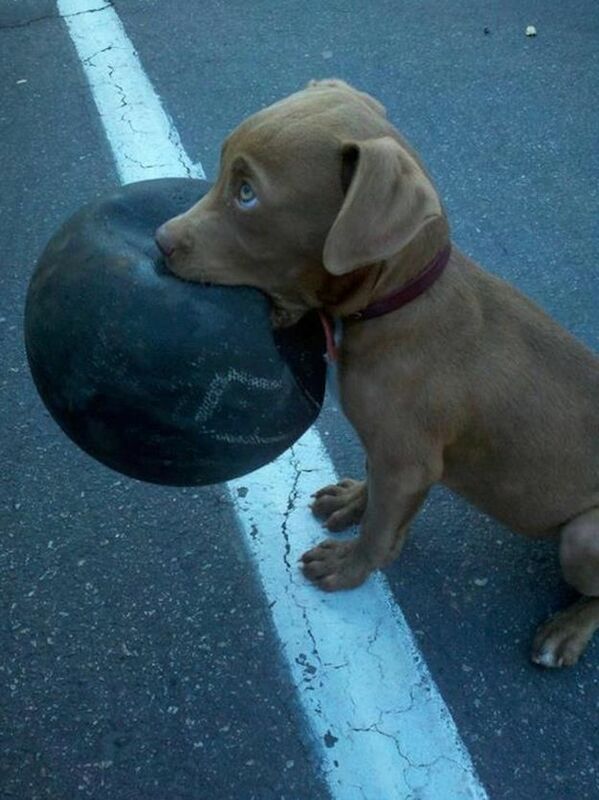 Setting Up Play Dates For Your Dog. 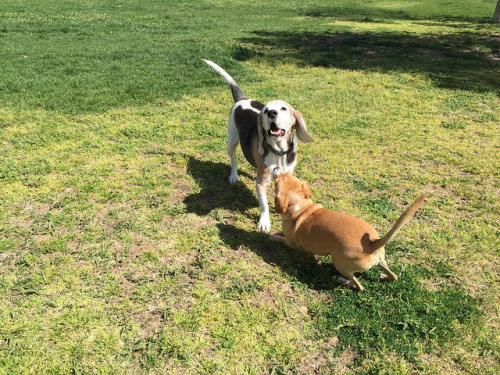 Are you planning a play date for your pooch? Play dates can either work out amazingly well OR be a complete recipe for disaster. 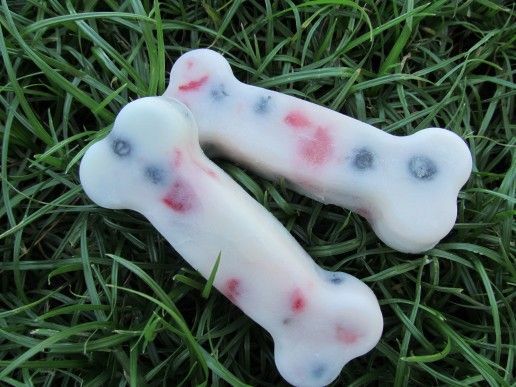 How great would it be if your dog was able to EAT, PLAY and BARK with fellow Fido? If you’re considering an overnighter, when your guest and Fido arrive, take beds and crates inside right away and choose a safe place for each to sleep. Selecting separate sleeping quarters is really important because the last thing you want is having to break up a squabble in the middle of the night. Baby gates are great at helping with separation. Take both your pooch & Fido out together on a walk. This will encourage doggie interaction, ‘pack-building’ and give them both some exercise before the visit gets underway. Be sure to lead the walk so that Fido knows who’s in charge and who’s leading the way. If the walk was stellar and no issues came about, get into your home by leading the way in, guest and Fido afterwards. Now it’s time to get the dogs playing TOGETHER! Ideally, a fenced in backyard would be great but if that isn’t an option, choose an indoor play space where less to NO damage can occur. 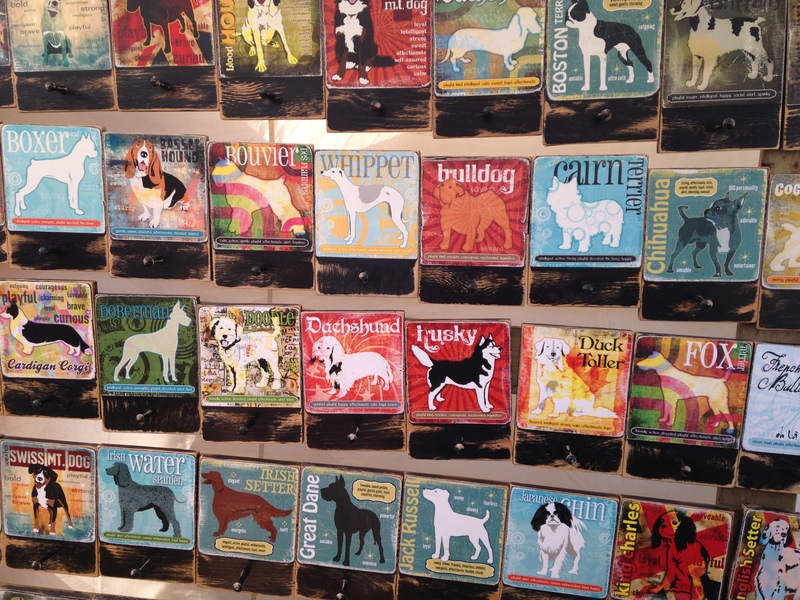 Your home ‘scents’ will play a big role AND set the stage letting Fido know that you and your pet are primary. Don’t be afraid to lay down the rules! It’s important that you take a few minutes to specify house rules (without offending anyone of course!) so for instance, if dogs aren’t allowed on furniture etc., make it clear to your guest. When mealtime comes about, you may want to consider separating the dogs for feeding to make sure there are no food fights! You want to minimize the potential for any incidents to take place and food aggression could result. Have FUN! If all seems to be going well, PLAY, catch up with your guest, have an abundance of treats on hand and ENJOY all of the company! Please visit ruckusdog.com for fun vintage inspired home decor dog products. This entry was posted in Uncategorized and tagged dog breed products, pets, pets having fun together, play dates for your pet, ruckus dog, sharyn cathcart, summertime fun, vintage inspired dog products, visits with other dogs, water safety and dogs on September 5, 2014 by Ruckus Dog. 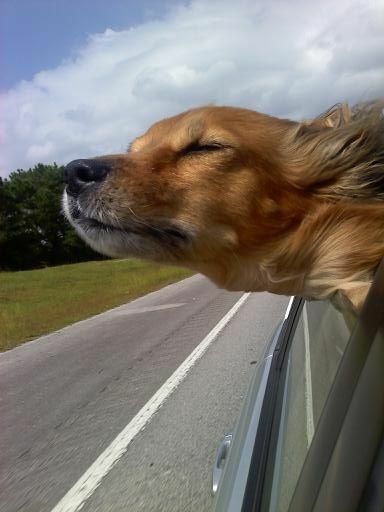 Planning Any Road Trips With Your Dogs? Get Their Papers In Order! 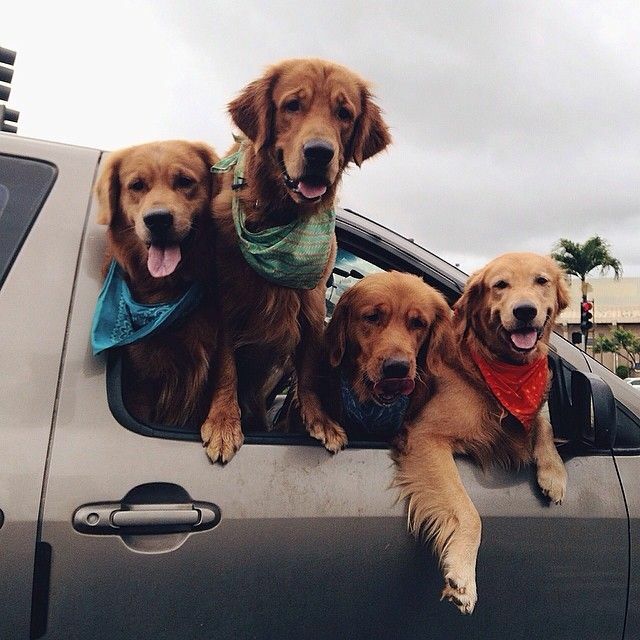 Traveling with your pets can be so much FUN and a really great experience for the entire family. Along with all the ‘special’ things that have to be prepped for your road trips, if you’re planning on crossing the border into the U.S., make sure to have not only your passports in hand but a rabies certificate as well. Each year, thousands of Canadians head south each fall pets in hand. 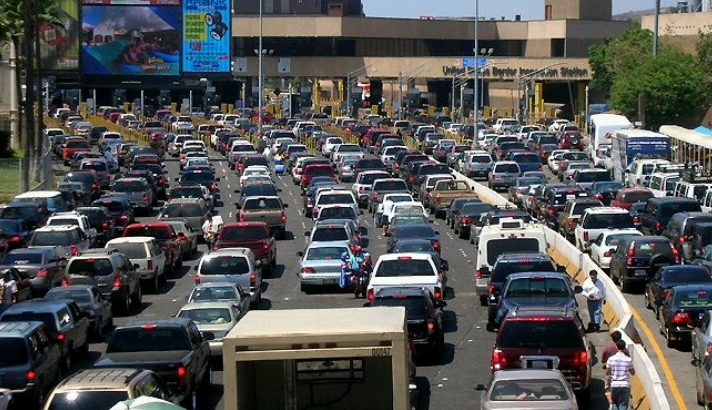 At border crossings into the United States (keep in mind this applies for quick afternoon jaunts and weekend getaways) you will be asked for an up-to-date rabies vaccination certificate. Customs and Border Protection ask that vaccination papers be signed by a licensed veterinarian AND must show that your dog has been vaccinated at least 30 days prior to entry in the U.S. There are also breed restrictions in certain states so even though your customs officer may allow entry into the country, be aware and check prior to your trip that the state you’re heading to allows your dog breed. States such as Ohio, Texas and Utah have adopted statewide breed-restriction legislation. For instance, a pit bull could be allowed in one area of a state but not the other. Check online for more information. Websites such as dogster.com list breeds that could be affected so be sure to do your homework before you hit the road. Also, when returning back to Canada, did you know that you’re only allowed up to 20 kilograms of dog food? Loading up on cheaper American brands in the hopes of bringing back a stash will only be taken away. Bottom line, make sure you’re 100% prepared and informed before you take that road trip! Stay connected with us on Facebook, Twitter, Instagram & Pinterest! Please visit our website @ ruckusdog.com for more. This entry was posted in Uncategorized and tagged border crossing with dogs, crossing the border with your pet, dog breed products, dogs and cottages, dogs having fun, going to the US with a dog, home dogcor, products for dogs, ruckus dog, sharyn cathcart, summer safety for pets, summertime fun on August 18, 2014 by Ruckus Dog. Water Can Be Dangerous Even For Your Pets. Pets LOVE water, well most do anyhow. Some choose to avoid it at all cost but for those who love hot summer days in water, they drink it, play in it, swim in it and would probably live in it if they could. 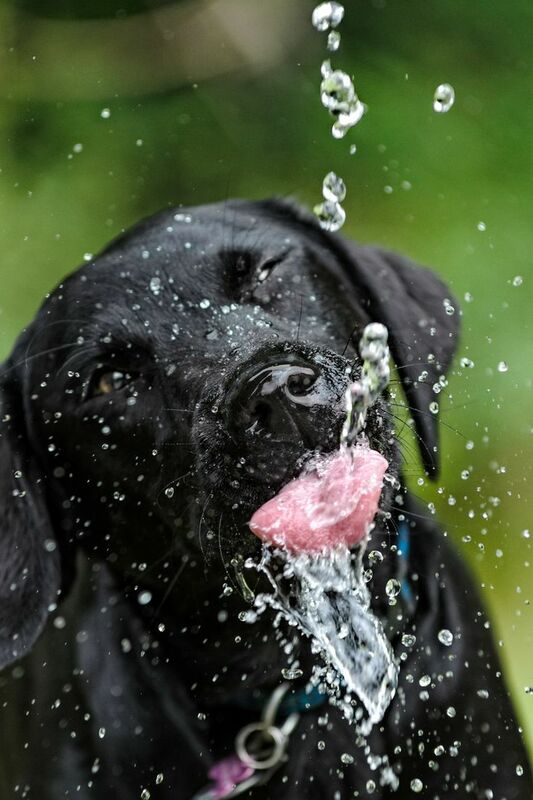 While water is a life source, it can also be quite deadly for dogs if ingested in large quantities. Beware of water intoxication. So how does it happen exactly and how can we tell when something just isn’t right? When your dog swims around they ingest water. Drinking too much causes electrolyte levels to drop and blood plasma to thin which ultimately leads to the swelling of the brain and other organs. Most people are completely unaware of it. If your dog has been in the water and they show the following symptoms, PLEASE seek treatment from your veterinarian as soon as possible! The most important thing is to be aware and be careful. One way to avoid intoxication is to take regular breaks and try to avoid letting your dogs dive for objects under the water. 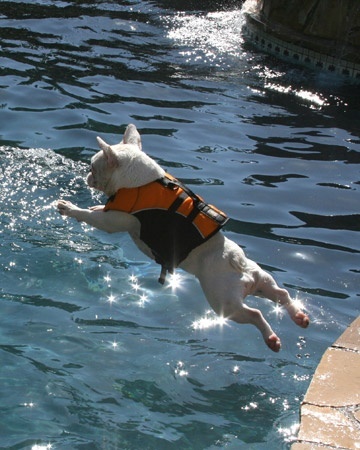 Remember that swimming is great exercise for your pooch, but always in moderation! Be aware, enjoy the water and stay safe this summer! This entry was posted in Uncategorized and tagged dog breed products, dogs and cottages, dogs having fun, home dogcor, products for dogs, ruckus dog, sharyn cathcart, summer safety for pets, summertime fun, tips on dog safety, vintage inspired dog products, water safety and dogs on July 30, 2014 by Ruckus Dog. 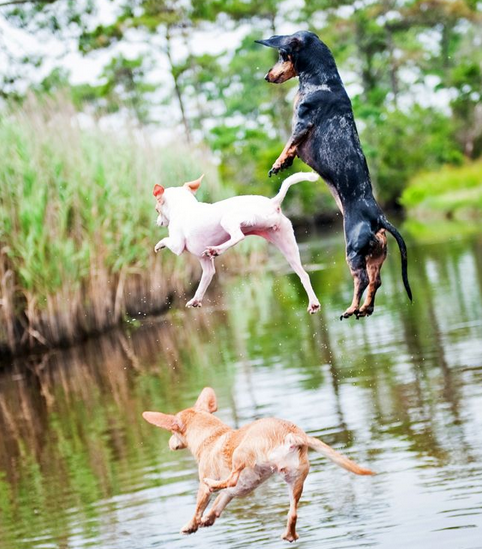 5 Tips To Keep In Mind When Having Summer Fun With Your Pets. If you’re a pet owner, summer with your pets can be so much fun with trips to the cottage, weekend morning walks to the local coffee shop and longer playtime outdoors. There is nothing more fulfilling than savouring these relaxing moments with family, friends and our animal companions. Remember though that a few extra precautions should be considered when heading out of the city, especially into more rural areas where the drive may take up more time. Consider the length of the trip. We know that summer days can be HOT so controlling the temperature inside your vehicle is key and remember to never leave your pet inside. 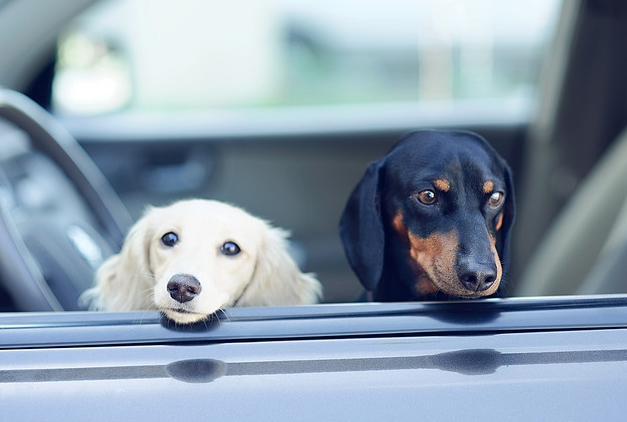 Although dogs often LOVE to hang their heads out the window and feel the wind flapping their mouths and ears, be aware that sudden stops can lead to injury. Also, remember to take regular stops and breaks to stretch, to rehydrate your pets and to stretch muscles. 1 – Keep your pet on a leash when walking through wilderness. Surrounding stimuli could possibly have your pet bolt out of knowhere and you never know what dangers may lie ahead. 2- Gear up! 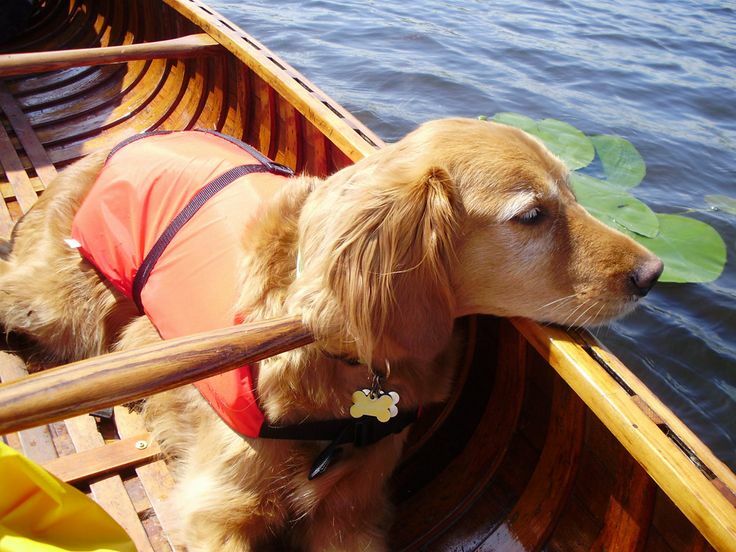 Safety vests and car harnesses aren’t only for people and are always great things to have around especially if canoeing with your dog is part of your summer cottage activity. 3 – Plan ahead especially if you’re visiting an area for the first time. Make sure you pack a little kit with basic supplies such as bandages and tweezers. Also, having your vet’s phone # and insurance information is never a bad idea in case of an emergency. 4 – Stick to habits and try not to break any patterns. If walking your pet first thing in the morning and after dinner is what they’re used to, then continue on. Sticking to routines and patterns helps create a more calm/comfortable environment especially if the surroundings are new. 5 – Remember that not all pets are the same. Some pets may simply sink into a new environment seamlessly however not all pets are built the same. Others may panic especially if you’ve entered a campsite with other people and pets around. This may seem a little silly but if you’re planning to hit a campsite during the summer, do a test run before you invest time and energy only to find out it wasn’t the best idea after all. Pick a night and pitch a tent in your backyard. A ‘sleep outside’ night will give you an idea on how comfortable your pets are with the outdoors during night time hours. Summer’s here, let’s ALL enjoy it and have FUN! To see some really COOL dog type stuff, please visit our website @ ruckusdog.com. This entry was posted in Uncategorized and tagged cottages and pets, dog breed products, dog safety, dogs and cottages, dogs having fun, home dogcor, products for dogs, sharyn cathcart, summer safety for pets, summertime fun, tips on dog safety, vintage inspired dog products, water safety and dogs on July 15, 2014 by Ruckus Dog.